A Lancashire lass from Upholland running EU foreign policy – it’s doesn’t get any better than that. And no-one from one of the big hitters of Europe actually becoming President of the EU is OK too. Thankfully war criminal, perma-tanned Tony didn’t get the gig. At the Gilbert & Sullivanesque Royal Opening of Parliament this week two political pygmies made stunning speeches. Labour MPs Frank Dobson and Emily Thornberry made sincere, amusing and passionate addresses. These must have bought tears to the eyes of those Old Labour Party members, who have felt washed up onto the beach for years. During these speeches the Labour Front Bench couldn’t help but laugh at the jokes but one good look at Gordon and his cohort’s faces reminded us all why a tired and weary Labour leadership will not get re-elected. They already look like yesterday’s people. Dobson and Thornberry came across as believable – a label one couldn’t apply to any of the Labour Front Bench. WEN is a pygmy too. Formed just four years ago this month, it is just 313 members out of a total West Ealing population of 30,000. However WEN has helped a lot of residents in those four years. We provide a local news and information service and we have quite a few ongoing projects. Our three year role in helping to save Ealing’s antique lampposts has been considerable. Our Abundance project anticipated by over 12 months the Ealing Transition Town initiative which formally launches this month. The work that has already gone into improving pedestrian safety at the Lido Junction has been considerable and we are prepared for a long battle on this front. WEN has invested significant resources in attempting, with others, to save the centre of Ealing. We are also trying very hard to ensure that a redeveloped Green Man Lane Estate is not a gated, densely populated version of what is to be demolished. And, if ever built, we are working hard to ensure that the new Crossrail West Ealing Station is fit for purpose. National Debt at £824.8 billion; Government Borrowing at £12.8 billion/month; is this really the time for ‘Development’ and ‘Growth’? Put simply what our National Debt actually means is that every man, woman and child in this country ‘owes’ over £13,000. 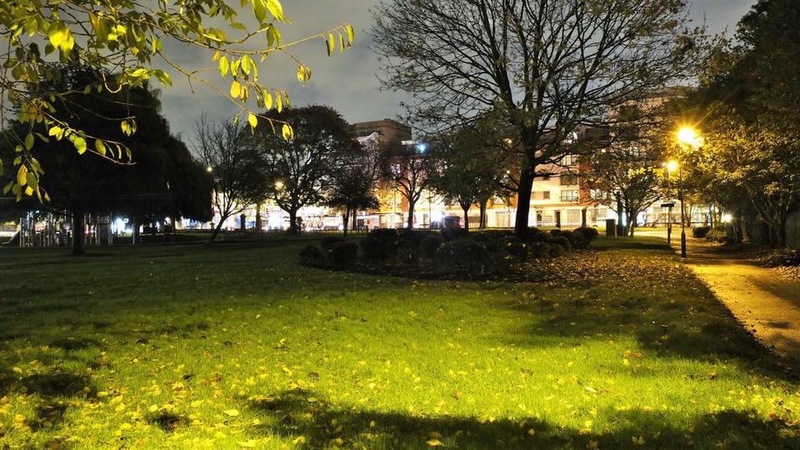 We found out in October that Green Man Lane Estate redevelopment will cost £137 million. The money appears to be coming from A2Dominion, who receive £150 million funding each year from the UK Government. My question is then that given this is our money (or more correctly money borrowed on our behalf by our Government) should we really be spending it in this way or at all? We can’t as a nation (or as individuals) carry on living on ever increasing debt. Some more numbers (from the Office of National Statistics) to weep over – UK Government borrowing for this financial year will exceed £175 billion; our National Debt is 59% of the UK GDP; and public sector borrowing for the six months to September 2009 was £77.3 billion – the largest mid-year deficit ever recorded since records began in 1946. Ealing’s new draft Local Development Framework Core Strategy paints a picture of 14,115 new homes being built in Ealing over the next 17 years. If GMLE’s 738 new homes are going to cost £137 million, it will cost someone £2.6 billion to build all these new homes. Just where will this money come from? Do the public and private sectors think they can borrow it? If so, from whom? Peak Oil and Climate Change are impending, growing problems largely ignored by governments in all countries and at all levels. When the oil price reached almost $150/barrel last year, the price of fertilizer doubled. Pundits are now declaring that we have now passed Peak Oil (ie oil supplies are now diminishing) and are predicting a $200/barrel oil price in 2013. This is likely to treble current prices for fertilizers. Just think what that will do to food prices. It will also bring about a sharp increase in the price of all oil based products and services or oil fuelled manufactured products or services (covers most things). And just suppose that the recovery from recession never comes….